An Fear Mór, 'the big man', occurs in a number of Irish place-names. It may refer to a giant or be a euphemism for the Devil. Cf. Crockanirmore, Crockanirvore and Oweyanirvore, all in Termmonmaguirk parish, Co. Tyrone; also Cuan an Fhir Mhóir, Greatman's Bay in Connemara, where the name is associated with the legend of a giant who fished for whales. 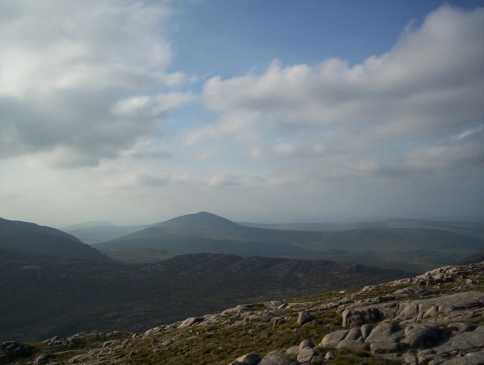 Croaghanirwore is the 424th highest place in Ireland.